I’m so rubbish at these weekly updates – but it’s been an awesome week after a few up and down ones where I’ve struggled to get my head back into the game. 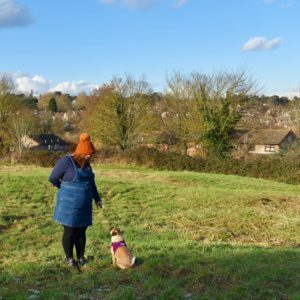 So I decided last week to really try and stay on plan and do the best I could – I also took advice from my consultant who very wisely said that 7 days is a long time, and to think about the week as 21 meals; which really resonated with me. I’ve had an awful time back on the pill – I’ve been back on Cerazette for 6 weeks now and it’s not agreed with me at all; I’ve been tired and hungry ALL THE TIME. For these reasons I’ve stopped as of four days ago and I’m hoping it doesn’t mess with my weight too much; I have wondered if it’s caused me to have the recent ‘stall’ where I’ve shifted up and down by a pound or so. Anyways – anxiety wise I have mixed feelings for weigh in; my gorgeous friend has started her own group and I help out on her social team and I also weigh on a Wednesday night at 7.30pm. I love the atmosphere at group and despite feeling sick through nerves, it’s such a buzz to keep going and it’s become a focal point of my week. I’ve never really mentioned numbers – but I now feel like I’m at a point where they just don’t mean anything; yes of course I celebrate each little number lost and ultimately it is a numbers game but I won’t be defined by a number and I was to be proud of where I have come. 14 weeks ago I walked into my first group weight 17st 4½lbs – and I was mortified. My Club 10 weight flashed up at 15st 8lbs, and reaching this weight would mean I’d lost 10% of my body weight. And so I never imagined that 14 weeks later I’d be celebrating an amazing 3lbs loss this week taking me to 15st 13lbs and taking me just 5lbs away from my club 10. I’ve lost 1st 5½lbs and I never thought I would be here right now – psychologically I’m the weight I was this time last year and that’s hard sometimes; I really have to tell myself that it is what it is and I mustn’t think about it. I was 4 weeks into Slimming World when I discovered I was pregnant in March 2014 and my weight then was 15st 8lbs – I’m so focused now on getting back there and keeping to mini targets. My anxiety tells me all the time that I’m not good enough; that I’m fat and that I just can’t do it; and it’s a struggle to fight against it – even some people close to me have been spiteful and said that it’s a waste of money and that I’ll never do. February last year my BMI was around 43 and now it’s dropped to 39.5 – BMI isn’t everything and seems quite controversial but again, it’s a number that doesn’t define me but is an awesome indicator of how far I’ve come. So, to anyone who doubts me and has anything negative to say – think what you like, I’ve got this. Does weight loss pill have side effects?